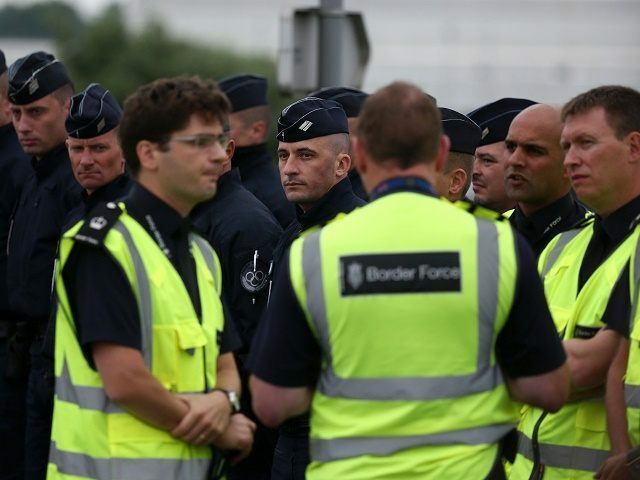 British police, including UK Border Force officers, will be deployed to France after Home Secretary Theresa May signed a belated agreement with the French government on the Calais migrant crisis. 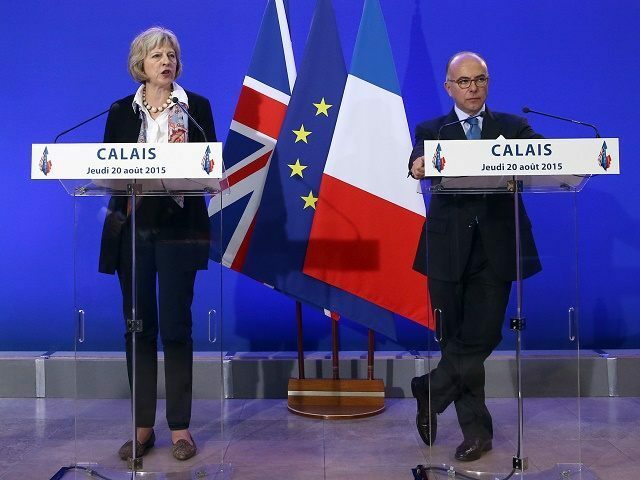 The agreement will establish a joint control and command centre, headed up by senior British and French officers, and signals a step up in British involvement in Calais. The unusual feature of the Euro Tunnel project, which effectively pushed the British border forward onto the continent for the first time since the 13th century, has caused friction between the two countries as it has left the French government patrolling the border almost unassisted. 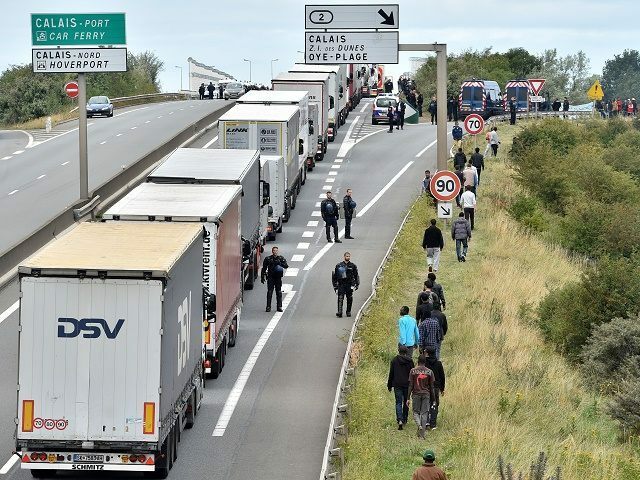 The unit will mark a radical departure from the present reactive method of policing the Euro Tunnel which presents an easy home run for the thousands of migrants now living illegally in Calais, which is essentially defensive, reports the Daily Telegraph. The new two-nation border police force will be proactive, going out to “find and disrupt” the smuggling gangs where they are based and operate, and work to see that “networks are dismantled, prosecutions are pursued and perpetrators are punished”. In addition to the new control centre, France will also deploy additional officers. Specialist security officers from both nations will conduct an audit of the site and suggest changes to be made, the cost of which will be met by the United Kingdom. More fences, infra-red sensors, flood lights, and search dogs are anticipated. Pre-empting the possibility of illegals logically taking the path of least resistance and changing their migratory route to other less well protected ports, the Home Secretary also said she had opened talks with Belgium and the Netherlands. Although toughening security at the border will be welcomed by many, it may be criticised in some quarters for addressing the symptoms of the problem, rather than the causes. Speaking to Breitbart London, a Euro Tunnel spokesman said the company was already ploughing millions of pounds a year into security at the railhead, and spending more money there would yield few results. Instead, Euro Tunnel said the European Union, Britain, and France should take political action to prevent migrants getting to Europe at all. 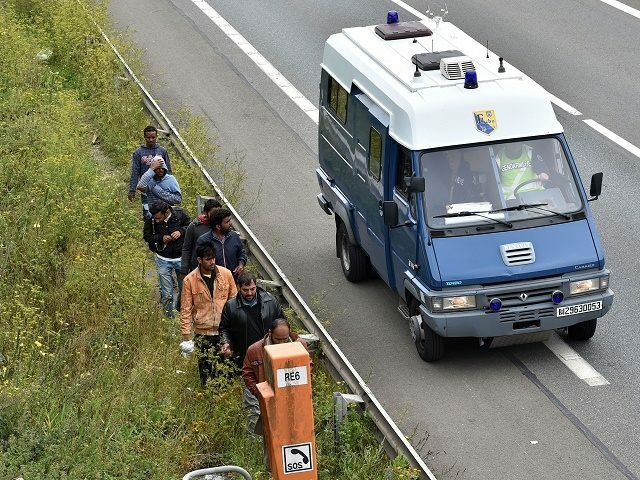 “…we are confronted with a migrant issue that is growing out of all proportion. The solution to this issue can’t be found by building another fence – it is about stopping the flow of migrants from their country of origin… all of the things that will stop this crises are well out of the hands of a private transport operator… they are in the hands of the British, French, and European governments, who need to find a solution. “Locally we work with the French police on a very close basis to try and find the best organisation of resources to prevent migrant access, but we are confronted with such an enormous number of people it becomes impossible. They will always find another access point, or another tactic, every time a new barrier is put in front of them”. Such a solution seems, at present, a remote possibility. Britain’s Conservative government seems like most European social democrat movements to be wedded to the idea that mass immigration is inevitable, and that solutions comprise tinkering at the edges.